Kathimerini met with Vladimir Yakunin, a doctor of political science and chairman of the Dialogue of Civilizations Research Institute, in October at the Rhodes Forum, which has been taking place annually since 2002 under his leadership. 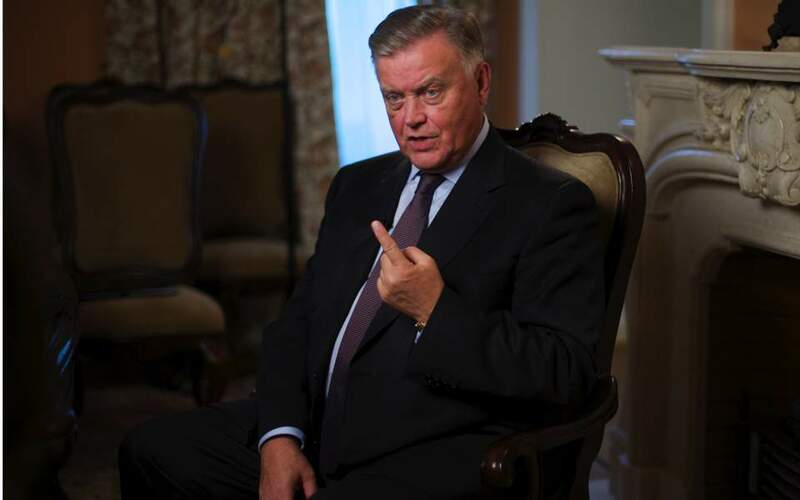 On the occasion of Greek Prime Minister Alexis Tsipras’s visit to Moscow, Kathimerini caught up with Yakunin again for an overview of Greek-Russia ties and their prospects. Last September, Russia and Greece celebrated the 190th anniversary of full diplomatic relations. How would you describe the current state of affairs in this historical relationship? Greece and Russia have historically had very close ties and have much in common. Both countries share the same religion and a deeply intertwined history. Both nations are integral part of Europe, and due to their location and history are also bridges to other cultures and civilizations, such as the Islamic world. In the modern era our relations go back to the beginning of Greek statehood – as you know, Count Ioannis Kapodistrias, who became the first head of state of an independent Greece, was a former minister of foreign affairs under Russian Tsar Alexander I. Perhaps realizing the importance of this affinity, both countries have always maintained friendly and mutually respectful dialogue and have successfully navigated challenges that arose over the years. Currently, both nations have many positive trends in their relations, including the bilateral trade which demonstrates an impressive dynamics. How do nongovernmental organizations, including the DOC Research Institute, contribute to the further development of cultural ties and the understanding between the Russian and Greek peoples? What should we expect from your forum next year? The main role of NGOs as a whole is to link policy making with society. This is not intended to replace traditional diplomacy, but rather to complement it. A good example is the T20, a gathering of think tanks from the G20 countries that takes place ahead of each summit of the heads of states and advises them on various issues. 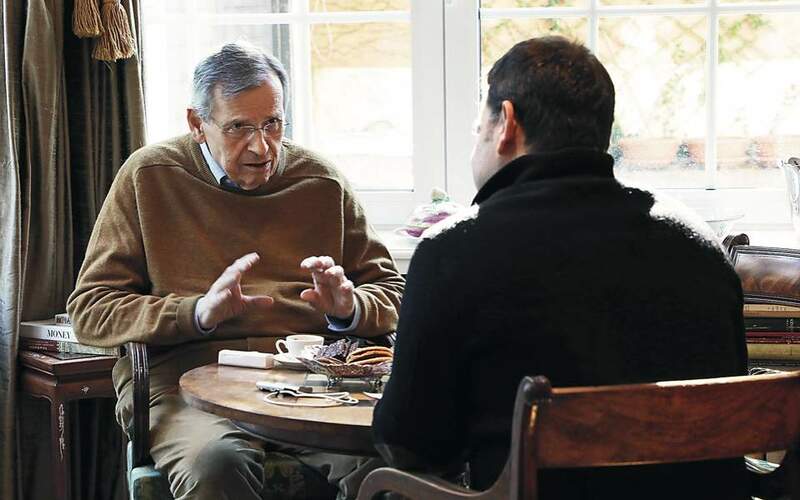 In the context of Russian-Greek relations, the Rhodes Forum is perhaps not the best example, as it is much broader in scope and focuses on issues that are crucial for the whole world today, from ways to counter terrorism to prospects for the global economy. Our openness to people of all backgrounds and points of view is our unique value and something that helps us to anticipate trends. For example, the global financial crisis 10 years ago or the European refugee crisis three years ago were predicted by people taking part in the Rhodes forum two to three years before those crises actually occurred. That said, I am of course very pleased to hear that our forum contributes to strengthening Russian-Greek ties, and to know that it helps foster good relations among other nations and civilizations that are represented there. And I can say that it is very symbolic that the Rhodes Forum takes place in Greece – the cradle of democracy and a crossroads of cultures. Would you say that the turbulence of the past months between Athens and Moscow has been settled for good? As I said, in relations between Russia and Greece, there are more weighty and significant factors than a political momentum. Decisions made by politicians cannot outweigh the fact that Russians and Greeks relate to each other with trust and friendship. I am confident that dialogue and cooperation at the level of civil society will be able to smooth out critical moments that arise at the intergovernmental level. What do you expect from Greek Prime Minister Alexis Tsipras’s visit to Moscow? Summits are a very important instrument in developing bilateral relations. It is especially important when these relations are being strained. At the moment when the international situation appears to be very tense and volatile, we can expect that the leaders of our countries will be able not only to mend bilateral relations but to suggest to the international community positive results of the dialogue as the most essential instrument for the settlement of global challenges.